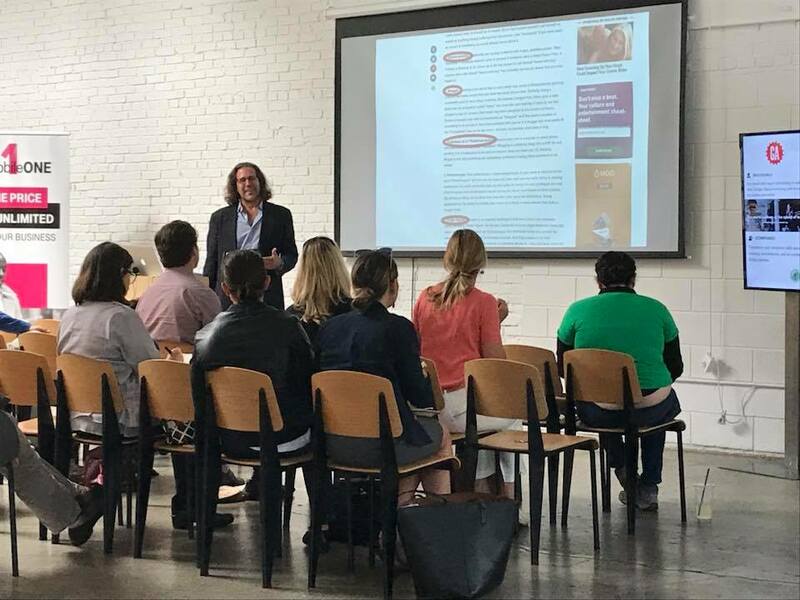 The Santa Monica Chamber hosts at least 3 networking events every month. Learn more about the Chamber’s networking events below. The Chamber’s Business @ Sunset mixers are held at different business almost every month, including hotels and restaurants in the area. With over 150 guests in attendance, guests enjoy hors d’oeuvres and drinks. Each host adds a unique touch to make the event memorable. If you’re looking into a chamber membership or already a current member and trying to grow your business, come visit one our friendly Chamber mixers to meet and network with current members. These popular lunches and breakfasts give all members the opportunity to introduce themselves and their companies to other members, new and old, all over a great meal. The Networking Lunch and Breakfast are held on the first Thursday of every month rotating between the two events, and provides orientation and networking opportunities. View our Events Calendar to find out when our next one will be held. Members are encouraged to give us any value-added items or coupons to include in our goodie-bags. Please email membership@smchamber.com for more information on providing items for our goodie bags. Borrowing the concept of “speed dating”, Speed Networking is a fast-paced networking event that gives all attendees the opportunity to network, one-on-one, for three minutes with each person, and then rotate around the room. Held on the last Tuesday of each month, Speed Networking is open to members and non-members alike. Check out a brief video clip of one of our Speed Networking events here. The Chamber offers its members a multitude of opportunities to market your company’s products and services – to other Chamber members, people moving to the area, and the business community at large. Read below for complete details. For marketing/advertising orders, contact Susan Hojer, Membership Director by email at membership@smchamber.com or call (310) 393-9825 x115. The following marketing/promotional opportunities are free for all active members of the Chamber. • New Member Profile – All new members receive a new member profile on our website and blasted to our 6,000 email subscribers. • Online Business Directory – All members receive a free listing in the Chamber\\\’s online directory. • Community Calendar – Members are encouraged to post their events on our Community Calendar. • Goodie Bags – Members are invited to put their marketing materials in the goodie-bags at all of our Networking Breakfasts. • Hot Deals – All members receive and may offer specific deals or discounts to other Chamber members. of these free marketing benefits? Contact Susan Hojer, Membership Director by email at membership@smchamber.com or call (310) 393-9825 x115. The following marketing/promotional opportunities can be purchased by active members of the Chamber. The Chamber hosts 6 signature events all of which have different levels of sponsorship and participation. To learn more about how to promote your business in the Guide contact Judy Swartz at (310) 577-6507 x134 or judy@smmirror.com or go here for more information. The Chamber is your voice in ensuring the continued growth and vitality of our local economy. Traffic congestion adversely affects the businesses and residents of Santa Monica. Through the Government Affairs Committee, the Chamber has coordinated discussions between the City’s Transportation Department and the business community. The Chamber supports the City enacting a reasonable TIF to implement the LUCE and to assist in addressing concerns about traffic and mobility. However, the Chamber has had serious reservations about the TIF as first presented – the rates proposed were higher than those found in surrounding cities, and there could be significant negative impacts on neighborhood serving retail. The Santa Monica Alliance’s Growth and Development Committee regularly assists small businesses in navigating the City’s permitting process. Many small business owners are also members of the Chamber’s Government Affairs Committee where they help shape the Chamber’s position on policies at City, State, and Federal levels. Nearly 80 percent of Santa Monica’s workforce lives outside the city. We need additional, affordable housing options for our commuting workforce, especially for first responders, teachers, nurses, and nonprofit workers. The Chamber has supported the LUCE’s goal of creating new workforce housing options near transit hubs. The Chamber’s Land Use Committee has been meeting frequently with the City as they update the zoning ordinance and draft the Downtown Specific Plan. Many of our committee members attend City Workshops and community events, where they share concerns and voice support for items discussed in our committee meetings. There are more than 700 homeless living in Santa Monica and at least 10 percent of these are veterans. We support increased funding to provide regional solutions, especially housing connected to intensive services for homeless veterans. Specifically, locating supportive housing on the West Los Angeles VA campus would provide a solution for 100-300 veterans. We support healthcare reform in which all stakeholders, including government, providers, health care organizations, insurers, health plans, employees, individuals, and employers contribute their fair share of the financing needed to provide coverage for all Californians. We believe that no solution should place an unfair burden on one group and oppose the creation of a single-payer, government-run, universal healthcare system. The Chamber supports alternatives for the upcoming Santa Monica Pier Ramp Restoration Project, including a parallel vehicular ramp and south bridge sidewalk to improve both pedestrian and vehicle safety and access to the pier. Limiting vehicle and delivery access would adversely impact the businesses on the pier and deter special events and filming use. 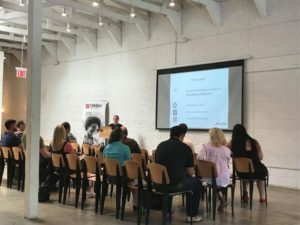 The Santa Monica Chamber joined 43 other business organizations from across Los Angeles County to launch the Los Angeles Business Federation, representing more than 70,000 businesses and 1 million employees. The group announced three top advocacy priorities: reducing traffic congestion, curbing gang violence, and supporting quality local schools. Traffic congestion consistently ranks as one of the top issues affecting Santa Monica businesses. govaffairs@smchamber.com or (310) 393-9825 x116. Each month the Chamber’s Technology Committee puts on an educational workshop (“Tech Talk Tuesday”) focused on technology in business. Topics include social media, cloud computing, mobile apps and more. Join us for our next Tech Talk!